Nike Football reveal their latest Mercurial 360 collaboration with Virgil Abloh from Off-White leaving his stamp in limited edition style. Set to be worn by Kylian Mbappé on March 31 when PSG host Monaco, the disruptive design will also launch on the same day. In the eyes of Virgil Abloh, the lineage of Nike’s Mercurial football boot is filled with great storylines. 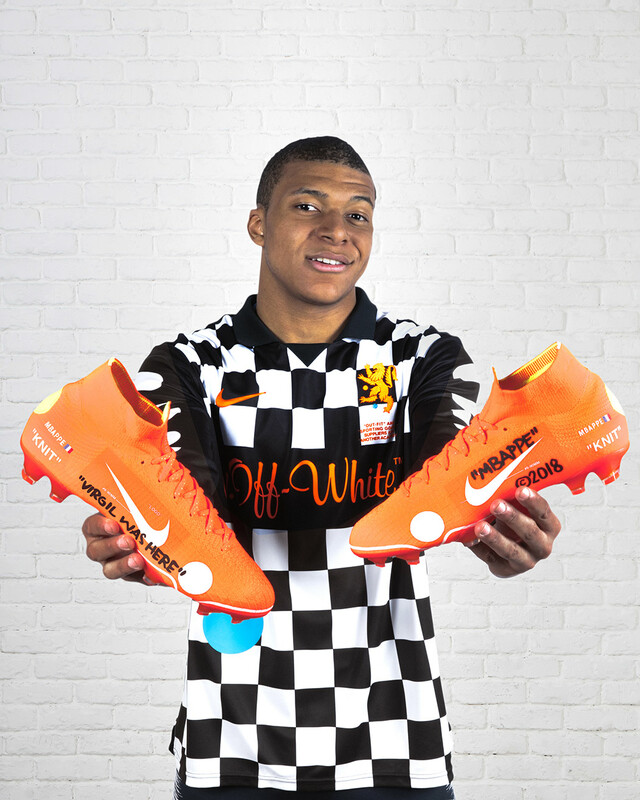 He’s quick to reference the players who’ve worn it — the likes of Kylian Mbappé — and considers it one of sport’s most dynamic and exciting product lines. Beyond, he says he’s excited to leave his own stamp on the contemporary game with his take on the new Mercurial Vapor 360. The idea is two fold: First, to help the wearer recognize where he or she should hit the ball; and second, to present a powerful message to the opposition.